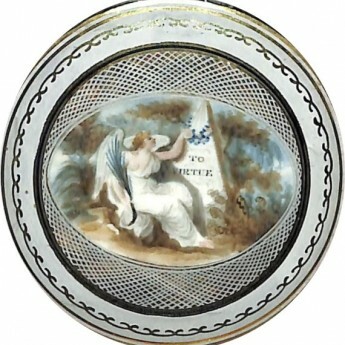 Memorial miniatures became popular expressions of grief during the late eighteenth century and were often set into small engraved brooches or rings or on the reverse side of a portrait miniature. This memorial has not been personalised and is not linked to a named individual. 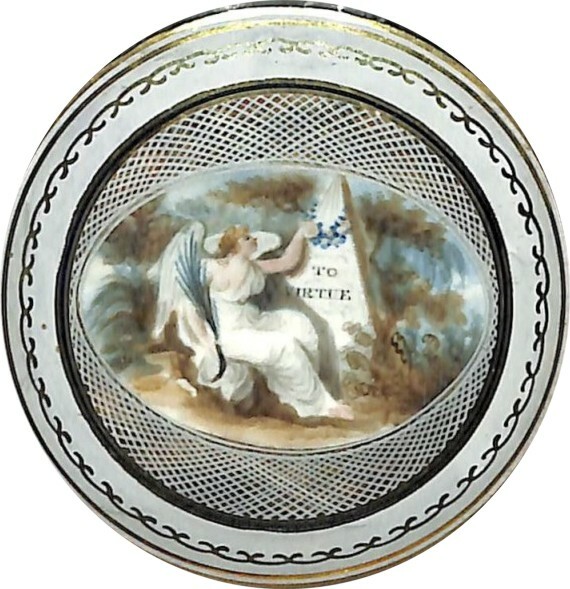 It portrays a déshabillé angel in a garden landscape placing a garland of flowers on an obelisk upon which is inscribed ‘To Virtue’. 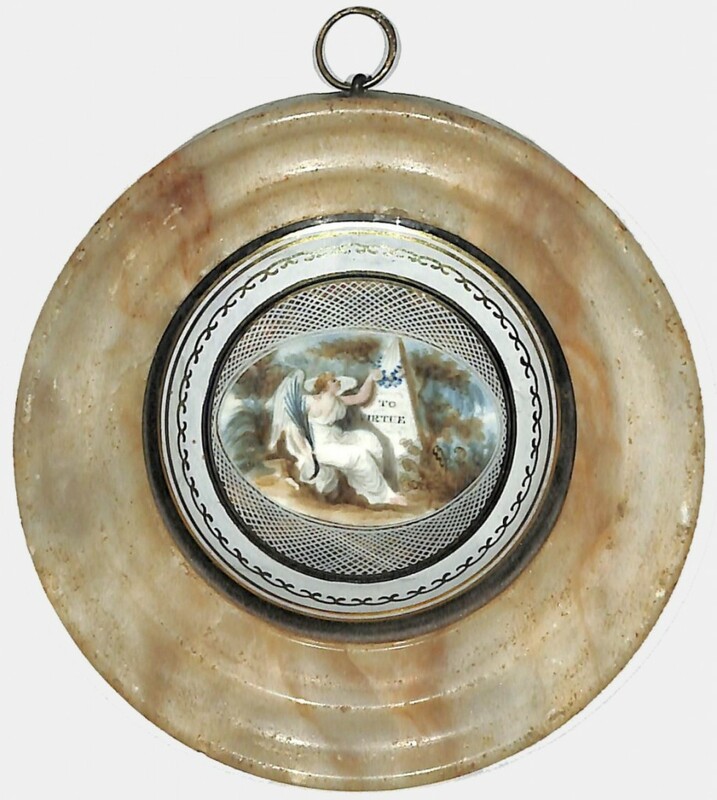 Watercolour on ivory with an attractive convex verre églomisé mount painted in white, gold and black and housed in the original alabaster frame. Good condition.